Eva is recording new material which will be released this summer! 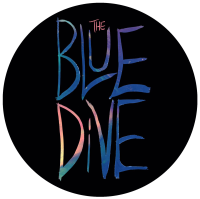 Follow The Blue Dive on Facebook to get insights into rehersals and recordings. The Blue Dive create original acoustic songs with an electric lift, lyrics of heart felt sinserity and engaging emotional soundscapes. The band comprises of Eva Trim, who works with many talented musicians from a range of musical influences. She has worked with Olly Irwin continuesly from the start of the project who features on the E.P playing guitar and bass.